So if you’re past your mid-thirties, you probably know how hot Christie Brinkley was in your childhood memories. Well, let me tell you, she’s still absolutely gorgeous. Christie was a no-brainer subject for this documentary but it wasn’t until late in the game that we finally got permission to do the interview. We went to her house in the Hamptons for the shoot. We looked around her place to find the best spot to shoot and she told us that she had a beach house nearby that we could also shoot at. We went over there and ultimately decided to shoot in her living room back at the house. I can’t even tell you how stunning, nice and hospitable she was. She was beautiful when we got there and then she went into hair and makeup and her beauty was like a punch to the face! Anyway, she was so nice that she even provided us (a really amazing) lunch. Who does that? After the interview, we literally hung out at her house with her for a little while as we got our equipment packed up. She didn’t disappear as you would have expected. Then we all hung out on her front steps talking about her kids and whatnot. She even busted out her electric guitar and started “playing” for us. Random, yet awesome! It’s funny because Billy Joel’s Uptown Girl is my favorite song of his and here I was with the Uptown Girl herself… at least the one in the music video (which I just re-watched for the first time since the 80’s… it’s horrid). 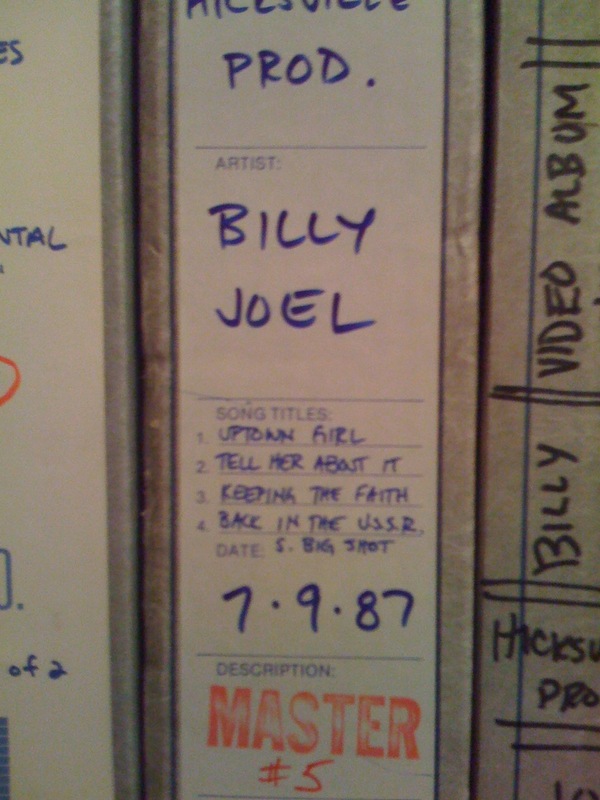 On a side note, I got to go into the storage facility where all things Billy Joel are archived and I saw on the shelf the original master recording tape for Uptown Girl (and other tracks). I thought that was pretty neat. My wife says I have the life. I get to do what I love to do, hang out with celebrities, eat out, tour cities, be driven around, stay up late… all kid-free. It’s like I get paid to be on vacation. But I guess she’s right. Poor her. She says I owe her a couple of trips to Europe. She made me write that last sentence. I agree with Wendy – you do have the life, Rod. 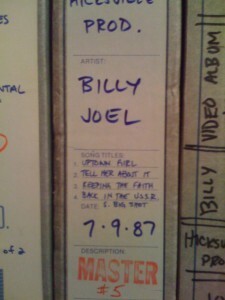 Especially working on this project (seeing as I'm a die-hard Billy Joel fan). It makes me giddy to read these entries and be like, wow, that is SO COOL!!! And I know him! :) Anyways, yes. Take Wendy to Europe. She's earned it. Rod, with your posts of these last few days, you officially have the coolest blog in the land. Hence, you are the first three-timer on http://mormondaddyblogs.com. Be proud. Be very proud. I'm so proud! Very cool! Although, this may be my "Uncle Rico" moment reliving the glory days. Hopefully there will be more to come.